10+2 with 60% marks in aggregate in Maths and Physics from an education board recognised by Central/ State Government. Matriculate with 60% marks in aggregate from an education board recognised by Central/ State Government. Medical Standards: (i) Minimum height 157 cms. Reduction in height for candidates from hilly areas and tribal areas will be in accordance with the Central Govt. orders. (ii) Chest: Should be well proportioned. Minimum expansion 5 cms. (iii) Weight: Proportionate to height and age +_10% acceptable. Hearing: normal. (iv) Medical examination will be conducted by authorised military doctors as per medical standard prescribed in current regulations applicable to Enrolled Personnel on entry. (v) Good mental, medical and physical health, free from any disease/disability, likely to interfere with efficient performance of duties. (vi) No Cardio-vascular disease, surgical deformities like knock knee, flat feet etc. infection of ears, no history of fits or psychiatric ailment, varicose vein, corrective surgery for eye sight etc. 6/6 (Good Eye) and 6/9(Bad Eye) (Candidates using glasses are not eligible for GD Branch). Training: The basic training for Navik (General duty) will commence in Feb 2013 at INS Chilka followed by sea training and professional training in the allotted trade. 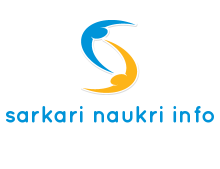 Training for Navik (DB) will commence in Apr 2013. Branch/trade will be allocated as per the requirement of service and performance during basic training. Naviks are liable to be discharged as UNSUITABLE due to unsatisfactory performance at any time during the training. Selection Procedure: (a) For Navik (GD):- The 'Online' Applications will be received except the candidates from remote areas where facility of internet/email is not available can be received through Ordinary post in the brown envelope only. The conduct of test planned during Aug/Sep 12. Date, time and venue of the recruitment will be intimated through personal email ID/ by post in the month of mid Jul 12. (b) For Navik (DB):- The application will be received through ordinary post in white envelope only. By hand, Speed post, registered post or couriers will not be accepted. Call up letters for eligible short listed candidates will be posted, indicating date time and place for recruitment tests, which are scheduled during Aug/ Sep 12. (c) The common selection procedure for both Navik(GD) and Navik(DB) are as :-(i) Short-listing criteria will be based on higher education and percentage of marks in the respective categories (Gen, OBC, SC & ST). (ii) Those who qualify written test will undergo PFT, interview and recruitment Medical Examination (Preliminary), The testing procedure will take 2-3 days. (iii) The written test will be bilingual (Hindi & English) and objective type. (iv) The Physical Fitness Test will be conducted for all those who pass the written test. (v) Candidates those who qualify the above tests will be required to undergo initial recruitment medical examination at the respective recruitment centre. (i) Procedure for applying for Navik (General Duty): (a) Applications will only be accepted ‘Online’. Candidates can apply 'Online' from 08 Jun to 30 Jun 12. After submitting online application, candidates are required to print two copies of the application with number generated by the system. Both copies of the print out of application duly signed with photograph are to be carried by the applicant to the recruitment centre. Out of the two copies one copy enclosed with photocopies of all required documents i.e. class 10th certificate/mark sheet showing date of birth, 12th class certificate along with mark sheet subjects, caste certificate wherever required duly attested by the Gazzetted Officer shall also be carried by the candidate and submitted at the recruitment centre. Second copy without any enclosure is to be kept with the candidate as an identity proof during the selection procedure. (ii) Procedure for applying for Navik (Domestic Branch): The application is to be submitted on plain paper in the form appended below (type written/hand written in English/Hindi) and is to be sent to the address of the respective Zonal recruitment centre latest by 09 Jul 12.